Sometimes the hardest part of purchasing a new car isn’t deciding which make and model to bring home; it’s figuring out where to draw the line at upgrading the chosen car’s trim. For some people, the base model of any car is just what they need – give these people four wheels and they are good to go. Others will settle for just a few bells and whistles, and some people won’t be satisfied unless they’ve got the whole shebang. Visiting the Mazda dealership near me offered the chance to explore the three Mazda trim types on one of Mazda’s most popular vehicles – the Mazda CX-5. Take a look below and find the trim that’s just your type. Before researching trim levels, refresh your memory of the CX-5. The CX-5 is a five passenger crossover SUV that is powered by Mazda’s SKYACTIV-G® 2.5L 4-cylinder engine and governed by 187 horsepower and 185 lb-ft of torque. Six-speed automatic transmission and standard front-wheel drive come standard on all models, but all-wheel drive can be added. Cargo space is reasonable at 30.9 cubic feet of space, but utilizing the 40/20/40 split fold down reclining rear seats expands cargo room to 59.6 cubic feet. The CX-5 gets decent fuel economy at 24 city, 31 highway and 27 combined mpg according to the EPA’s estimate for front-wheel CX-5’s (or you’re looking at 23 city/30 highway/26 combined for all-wheel). Redesigned for 2017, the CX-5 is “near the top of the compact SUV class for its outstanding performance, comfortable passenger space, high-quality interior, and laudable features,” according to U.S. News & World Report, which gave the Mazda CX-5 second place ranking in its list of Best Compact SUVs. The CX-5 is available in three trims: Sport, Touring and Grand Touring, and each trim offers additional options that are worth exploring. The Sport model is Mazda’s base model. With a MSRP starting at $24,045 for the 2017 CX-5 Sport in front-wheel drive and $25,345 for i-ACTIV all-wheel drive, you’ll get standard but solid features such as LED headlights, Bluetooth connectivity, a four-speaker sound system, a rearview backup camera and the 7-inch touchscreen that powers Mazda’s infotainment system known as MAZDA CONNECT. Safety features include dual front airbags, tire pressure monitoring system, and most attractively, Smart City Brake Support. Smart City Brake Support technology is used to slow or stop your vehicle if you are approaching an obstacle too quickly in an attempt to mitigate the damage that could be caused by rear-ending another vehicle. Building off the Sport, the Touring offers enough additional features to make it worth the extra price tag. In addition to all of the features you get with the Sport model, those who spring for the Touring trim will also be able to enjoy heated front seats with a 6-way power driver’s seat, faux-leather upholstery, and a six-speaker sound system. The Touring also has keyless ignition and entry and has the added safety benefits of Mazda’s Blind Spot Monitoring with Rear Cross Traffic Alert technology. A front-wheel drive Touring will set you back $25,915 and if you opt for the i-ACTIV all-wheel drive, you’re looking at $27,215. If you like the Touring trim but are looking for just a little bit more kick, you can upgrade your Touring to include the Preferred Equipment Package for $780, which will net you a power glass moonroof, power liftgate, navigation capabilities and a premium Bose 10 speaker sound system. Or, if safety is your concern, you can customize your trim even further by adding the Touring i-ACTIVSENSE package for $625. i-ACTIVSENSE is best described as Mazda’s suite of safety technology, and it’s certainly impressive. The Touring i-ACTIVSENSE will equip your CX-5 with Lane-Departure Warning, Lane-Keep Assist, High Beam Control, Smart Brake Support and Radar Cruise Control. For those who are looking for a high-end safety system, upgrading your Touring to include the i-ACTIVSENSE technology certainly makes sense. With the Grand Touring, you get everything Mazda could possibly cram into the CX-5, and for this amount of luxury, you’re still paying a pretty reasonable price at $29,395 for front-wheel drive and $30,695 for i-ACTIV all-wheel drive. The Grand Touring comes standard with 19-inch alloy wheels, as opposed to the 17-inch alloy wheels that grace the Sport and Touring models, and the driver’s seat gets a serious upgrade with leather upholstery available in black or parchment colors, an eight-way power seat and power-lumbar support. With heated exterior mirrors and rain-sensing wipers, your CX-5 will be ready to take on the elements, and with 10 premium Bose speakers blasting out your favorite tunes, you’ll be ready to rock. And that’s still not where your options end. Additional features are available to elevate your Grand Touring to true luxury SUV status, including Mazda’s Adaptive Front-lighting system and LED fog and tail lights. There’s one more package to consider as well: the Touring’s Premium Package. Splash out on the Premium Package and you’ll be equipped with heated rear seats, a heated steering wheel and a wiper de-icer. With all those features loaded into your CX-5, you’ll be hoping for a snowy winter! But the best feature of the Premium Package is Mazda’s windshield-projected Active Driving Display with Traffic Sign Recognition – a fantastic feature that makes the additional $1,830 you’ll pay for the Grand Touring’s Premium Package worth it. 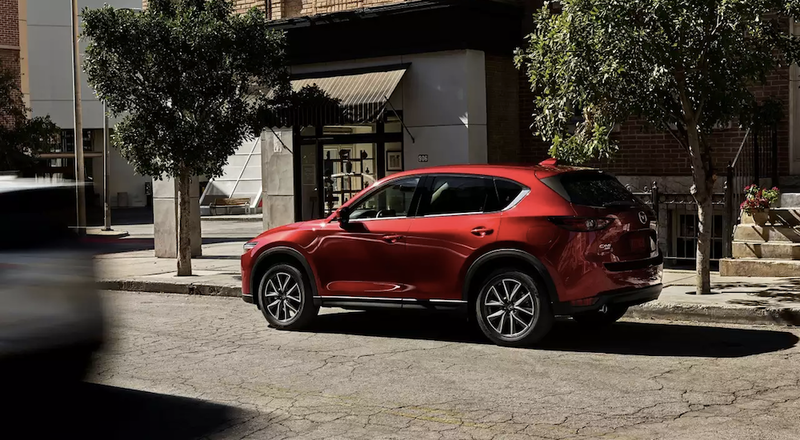 With so many features and packages available, Mazda has given consumers plenty of ways to customize the CX-5 to suit their needs and desires. 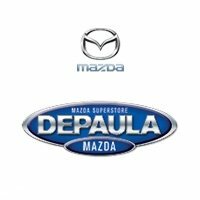 So no matter if you’re looking at the CX-5 Sport and thinking, “that’s just what I need to get from here to there, no frills, just right” or considering the fully-loaded, Premium Package Grand Touring to ride in luxury and style, DePaula Mazda is here to help you find the options that are just right for you. Our knowledgeable and friendly team is ready to get you into the Mazda CX-5 with the trim that’s just your type.